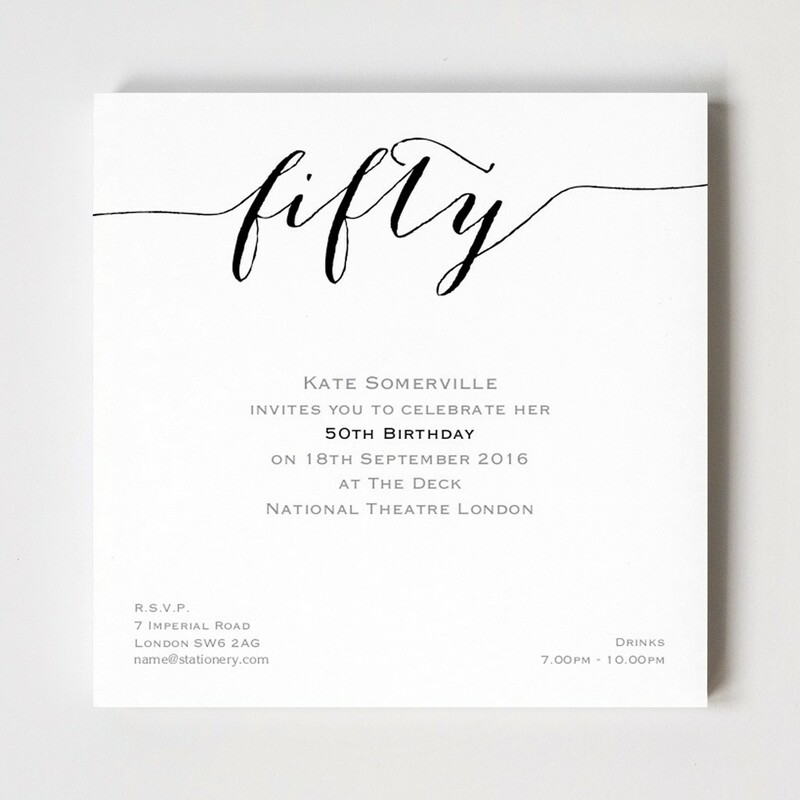 Ensure that your party is added to the diary and that your guests have ample time to prepare thanks to our superb Flirty Fifty Invites. Our square design measures 150xx by 150mm, comes with the option of adding up to seven lines of personalised text in one of 16 ink colours. Printed on 400gsm paper stock, our Flirty Surprise Invites are supplied with traditional v-flap envelopes.